Samvat 2071 was an average year for the stock market investor. Vikram Samvat 2072 is about to begin with Diwali 2015. On the auspicious occasion of Diwali, Motilal Oswal is suggesting Top 5 Stocks for Investment. Motilal Oswal believes that Political stability and Infrastructure development will be plus points for the economy. India might enter in the era of low inflation and high GDP growth. 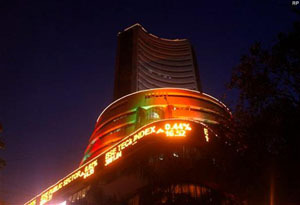 Sensex is likely to hit 33,000 by next Diwali and the investor can expect 20% return from the market. Bajaj Finance is money lending company. The company was providing finance for the two wheelers, now the company is also lending money to the consumer, SME and commercial segment. Bajaj Finance is also the market leader in consumer electronics lenders. The growth story of Bajaj Finance is likely to continue on Vikram Samvat 2072 also. HPCL is oil and natural gas state-owned company. HPCL is a second stock pick of Motilal Oswal. HPCL is expected to be a good performer. Profit of HPCL is expected to be double over FY 15-18 by the elimination of subsidy burden. Lupin is evergreen stock. Lupin is expected to launch new products by 2017. Lupin is expected to do number of acquisitions which will boost the growth profile. Growth story of Eicher motors is known to everyone. Eicher motors is one of the most expensive stock and giving consistent returns. The company has strong balance sheet and proven product line. Motilal Oswal believes that Eicher Motors is a strong candidate over Tata motors and Ashok Leyland. Larsen & Toubro is proxy to Indian economic growth. L&T is well positioned in the market and expected to get the benefit of upcoming infrastructure growth. The company is continuously building competencies in overseas market as well. In addition to above valuable advice given by Motilal Oswal is “Investor should focus on the earning power of the companies. Those companies which have a high quality of business, high earnings growth and are available at reasonable valuations will do well irrespective of their size. An Investor with medium risk appetite and no liquidity limit should maintain 50% allocation to equity, 30% to fixed income, 10% to real estate and 5% to gold. « Debt Free Companies In India – Good for Investment?